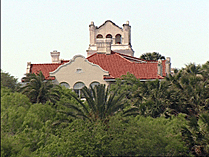 See how Lajitas, TX is being transformed from desert oasis into desert resort. 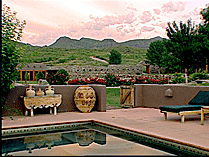 Call 432-424-5000 or visit www.lajitas.com for more information. Looking for a place to get away from the hustle and bustle? 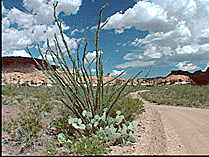 Come on out to Big Bend State Park. 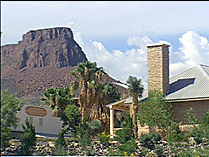 The main office is located near Presidio, TX. Write to P.O. Box 2319, Presidio, TX. 79845 or click here for more information. It’s a five-star get-away in the middle of nowhere, a real Texas resort. Pat Gleason works at Cibolo Creek Ranch, located near Shafter, TX. 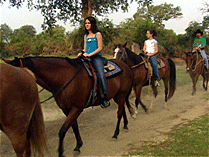 Call 866-496-9460 or visit www.cibolocreekranch.com for more information. It could be the best kept secret in West Texas. 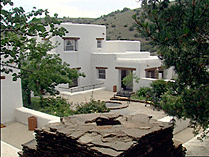 Betty Baker will cheerfully check you in at the Indian Lodge, located outside of Fort Davis, TX. Call 915-426-3254 or click here for more information. Once it was an overnight stop for movie stars…now the Hotel Paisano is the new jewel of the desert. 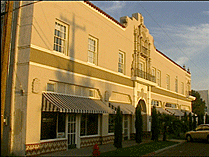 Joe Duncan saved the Hotel Paisano, located at 207 North Highland Street, Marfa, TX. Call 866-729-3669 or visit www.hotelpaisano.com for more information. Visit a Texas Bed and Breakfast that’s just about in the middle of nowhere. Don’t forget to stop by Shirley’s Burnt Biscuit while you are in town! 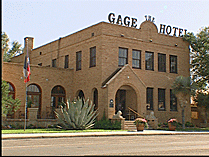 The Gage Hotel is located at 102 West Highway 90, Marathon, Texas 79842. Call 800-792-1112 or visit www.gagehotel.com for more information. 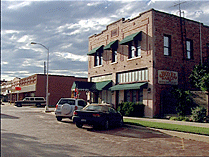 Visit historic Hotel Turkey to re-live the days of the old west and see the place Bob Wills called home. Jim and Mona Boles run the place in Turkey, TX.  Call 806-423-1151 or visit www.turkeybb.com for more information. 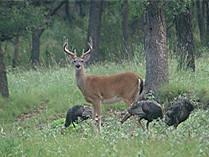 Where can you go for a relaxing weekend of watching wildlife in a natural Texas setting? 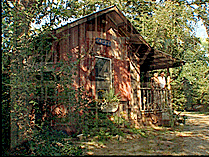 The Hummer House offers abundant deer, wild turkey, peacocks, humming birds, and more. Dan Brown runs this modest menagerie in Christoval, TX. Call 915-255-2254 or visit www.hummerhouse-texasgems.com for more information. See what it takes to keep a small town alive. With people like Jim and Janice Plummer, Post, TX isn’t going anywhere. 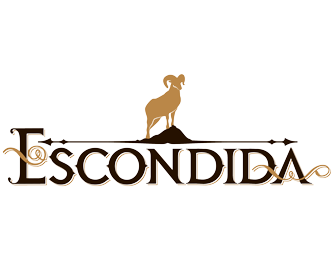 Visit their hotel at 302 East Main, Post, TX 79356. Call 806-495-3962 or visit www.hotelgarza.com for more information. 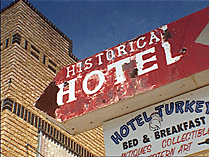 It’s a historic hotel in a historic downtown. Ron Maddox and Robert Moseley work at the Nutt House Hotel, located at 119 East Bridge Street, Granbury, TX 76048. Call 888-678-0813 or visit www.nutt-hotel.com for more information. 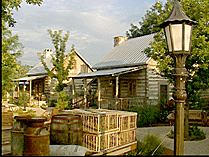 Take in historic Gruene, TX at the Gruene Apple Inn Bed and Breakfast. 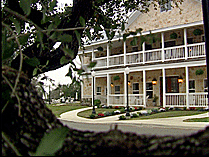 Ki Klepas will show you around this B&B located at 1235 Gruene Road, New Braunfels, TX 78130. Call 830-643-1234 or visit www.grueneapple.com for more information. Visit a Texas retreat that’s a scene from the pages of Hill Country history. 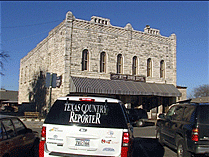 The Cotton Gin is located in Fredericksburg, TX 78624. 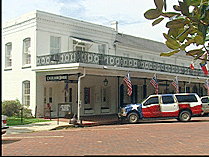 Call 830-990-5734 or visit www.cottonginlodging.com for more information. Fly in to a hotel where a runway leads right to the lobby. 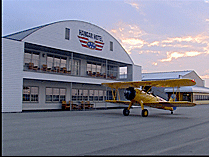 Rich Estenson owns the Hangar Hotel, located at 155 Airport Road, Fredericksburg, TX 78624. Call 830-997-4999 or visit www.hangarhotel.com for more information. Stop by the dude ranch capital of Texas where you can saddle up for a trail ride and a cowboy breakfast. Judy Hicks is one of the trail hands at the Mayan Dude Ranch, located near Bandera, TX. Call 830-796-3312 or visit www.mayanranch.com for more information. Check into a Hiill Country Inn where the only thing better than eating the food is learning how to cook it! Pick up a few new recipes at the Blair House, run by Michael Scheider and located at 100 Spoke Hill Road, Wimberley, TX 78676. 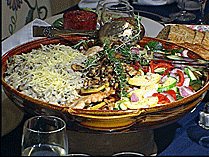 Call 877-549-5450 or visit www.blairhouseinn.com form more information. 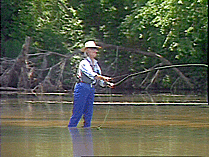 Visit a bed and breakfast on the Llano river where you can learn how to fly fish! Raye Carrington will be glad to show you how and she’s located at 8603 Lower Willow Creek Road, Mason, TX 76856. MAP Call 915-347-FISH or visit www.llanoriver.com for more information. Bruce and Patti Blalock don’t like to toot their own horns, but they run a great bed and breakfast featuring a ton of railroad memorabilia. It’s called the Katy House B&B and it’s located at 201 Ramona Street, Smithville, TX 78957. Call 512-237-4262 or 800-843-5289 or visit www.katyhouse.com for more information. It’s a romantic getaway for two complete with a wedding chaple…a place where love really is a many splendored thing. Carol and Craig Conlee proudly run the 7F Lodge, located at 16611 Royder Road, Box 402,Welborne, TX 77881. Call 979-690-0073 or visit www.7flodge.com for more information. Spin your wheels at the Windmill Farm Bed and Breakfast. 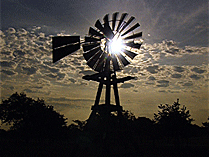 It’s run by windmill enthusiast Chuck Rickgauer and located at 6625 Colony, Tolar, TX 76476. MAP Call 254-835-4168 or visit www.thewindmillfarm.com for more information. Check into an East Texas bed and breakfast that’s straight from the Victorian era of elegance. 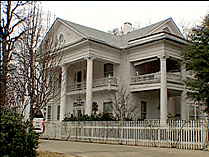 Norma Wilkinson runs the The Oaklea Mansion, located at 407 South Main Street, Winnsboro, TX 75494. MAP Call 903-342-6051 or visit www.oakleamansion.com for more information. It was once listed as one of the finest hotels in the world…and now it’s tucked away in the piney woods. 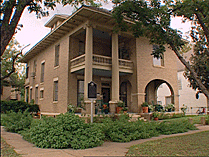 The Excelsior House is located at 211 West Austin, Jefferson, TX 75657. MAP Call 903-665-2513 or 800-490-7270 for reservations and visit www.theexcelsiorhouse.com for more information. 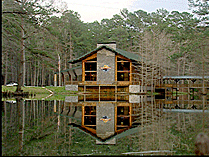 Visit the deep East Texas woods and take in the sights and sounds of nature at a place called Chain-O-Lakes. Jimmy Smith runs the place at 235 COL Resort, Cleveland, TX 77327. MAP Call 832-397-4000 or visit www.colresort.com for more information. It’s a Texas getaway where sand, surf, and sunshine are never in short supply. 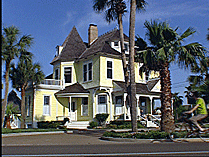 Hoopes House is located at 417 North Broadway, Rockport, TX 78382. MAP Call 800-924-1008 or visit www.hoopeshouse.com for more information. Take a peek into an oh-so-silent South Texas House of Prayer. Father Kelly is the head priest of the Lebh Shomea House of Prayer located at the La Parra Ranch in Sarita, TX 78385. Call 361-294-5369 or visit www.lebhshomea.org for more information. 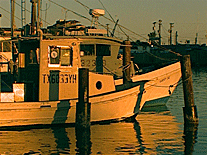 Come along on a weekend getaway to the gulf coast. 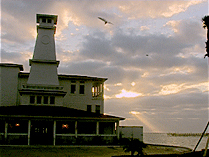 Rocky Reese runs the Lighthouse Inn, located at 200 South Fulton Beach Road, Rockport, TX 78382. Call 866-790-8439 or visit www.lighthousetexas.com for more information.